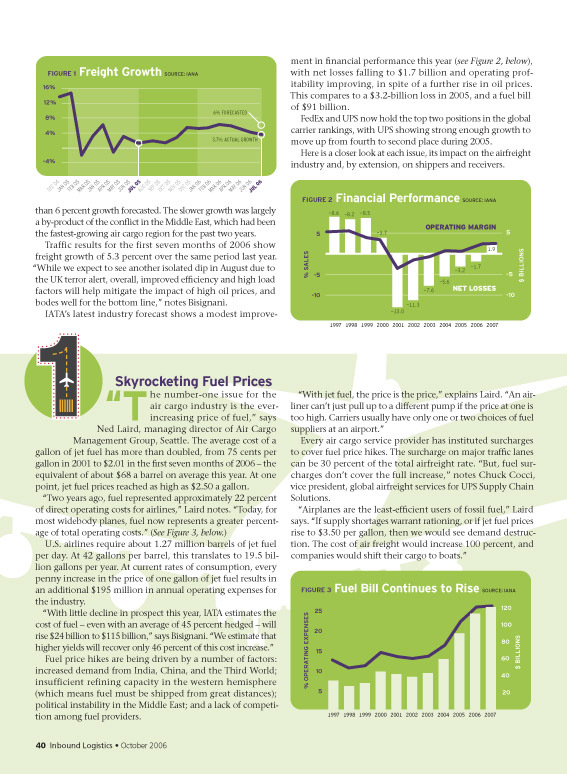 In this feature for Inbound Logistics’ annual air cargo issue, the top five challenges facing the industry were broken out and examined one-by-one. 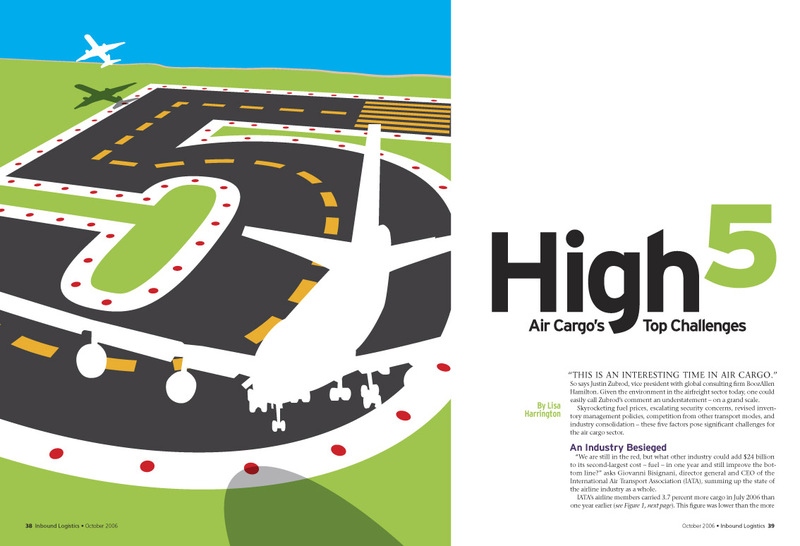 A vector illustration was created with a runway in the shape of the number five (above). On the interior pages (below), the color pallet of the illustration was carried through the graphs and sidebars, and each of the five challenges was ornamented with a customized number that also used the runway elements from the opener. Appended to the story was a “who’s who” comparison chart of services offered by airfreight forwarders (bottom), which was designed to be consistent with the feature.